In this Kershaw Oso Sweet review, you will see why one of Kershaw’s 2010 installments lives up to its name. This knife is the perfect utility blade for use at home and at work thanks to several handy features. This is one of the best blades you can buy for under $100 when you consider all options. 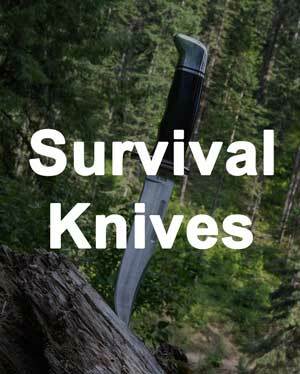 It combines quality material and innovative technology to produce a knife that can weather any conditions and still outperform even its more expensive peers. An imported steel alloy allows for maximum edge retention and strength with a sleek, sophisticated design. A GFN handle provides an ergonomic grip and houses two well-tuned mechanisms that make the blade both safe and easy to use. 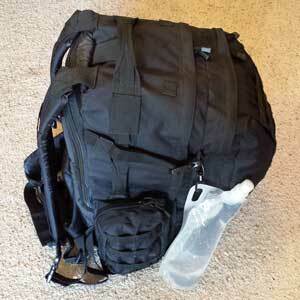 Dimensionally sound, the Oso Sweet is easy to maneuver. The weight of the handle gives it balance and heft. Read on for a full review of the Kershaw Oso Sweet 1830. See why it is one of the most stunning pocket knives in the market. As you probably know, Kershaw is one of the top knife companies that perfectly mixes quality with a great price. 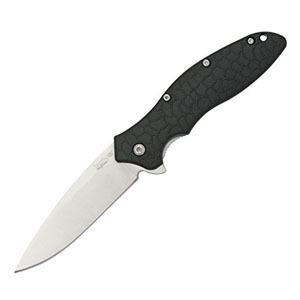 Like many Kershaw knives, the blade of the Oso Sweet is made of 8Cr13Mov steel. It is high quality for its price point and provides a good balance between flexibility and strength. Many elements are added to the metal to fight corrosion, dulling, microchipping, and rolling. The blade includes trace amounts of chromium, carbon, molybdenum, and vanadium. The Chinese alloy 8Cr13Mov is similar to the Japanese AUS-8 that is common to folding knives. Hardness can vary from 56 to 59HRC depending on the manufacturer and batch. Any value in that range is desirable due to the associated edge retention characteristics. The blade has a deep grind that ends in a utilitarian drop point. 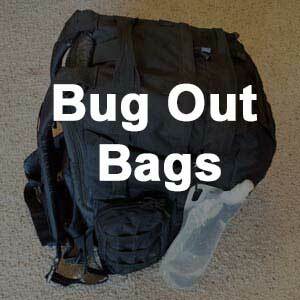 This point is ideally suited for everyday use and for multiple tasks. 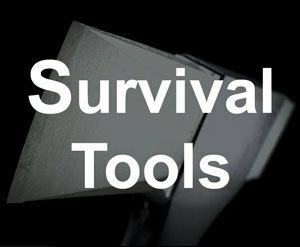 The blade is very easy to maneuver, sharpen, and use. To accent this feature, the bevels have a very sharp definition. The blade below the grind line shows beautiful sanding patterns that run perpendicular to the length of the steel. 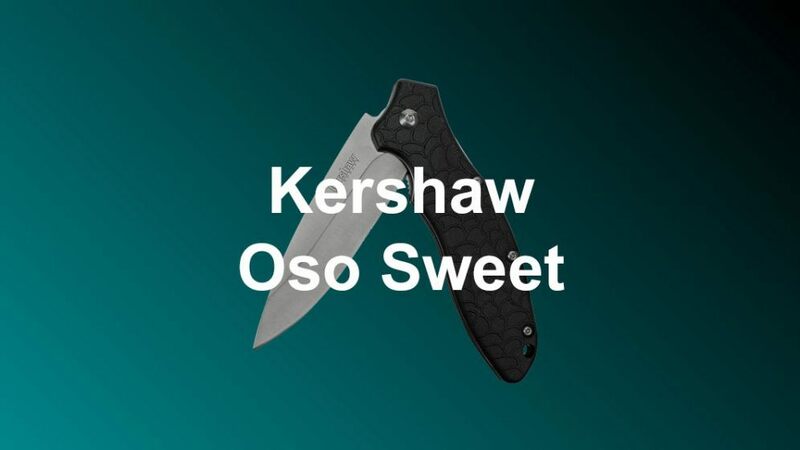 These features are due to the satin finish that Kershaw adds to the Oso Sweet by applying successively finer abrasives to the metal until it has a smooth, matte appearance. This method is performed by hand and indicates quality craftsmanship. 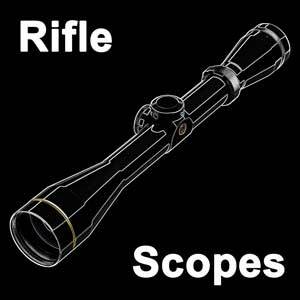 The handle is made of two scales of glass-filled nylon (GFN). 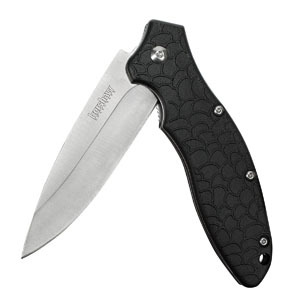 This sturdy material commonly used by Kershaw is made of a fiberglass reinforced nylon polymer. This combination gives the pommel strength and durability and imparts a certain amount of flexibility. The Oso Sweet handle can withstand copious amounts of punishment without cracking or shattering. The handle protects the blade from damage during falls. Another benefit of GFN is its price point. Kershaw makes their scales in a die that allows for lower overall costs during mass production. 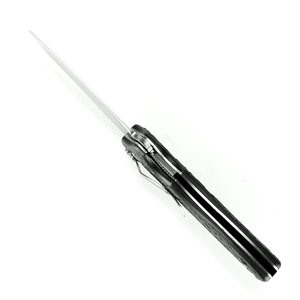 This economical material keeps the overall cost of the knife down without compromising quality. Separating the two scales is a Zytel spacer. This spacer reinforces the knife. The ribbing along the exposed end adds grip. There is more to the handle than just the material. It is as beautiful as it is resilient. The GFN scales are molded with a dragon-skin pattern, which gives the handle a solid grip and a very distinguished appearance. Two polished, 410-grade steel liners contrast nicely with the black of the handle and the satin finish of the blade. The whole package is held together by three T-6 screws along the handles dorsal length and a larger T-8 screw that pivots the blade. On the back scale, a uniquely designed thin pocket clip features a sweeping curve that creates a low profile in the pocket. The four holes punched into the lower end give it a minimalist feel. Two T-6 screws hold the clip in place, but since they are removable the clip can be repositioned to either tip up or tip down for right-hand carry. The Oso Sweet uses a liner lock mechanism. Looking at the knife face on, the skeletonized left liner holds the blade in place once deployed. The surface that is in contact with the finger is jimped making it easy to close. The liner just barely protrudes from the body. Your finger can easily locate it, but it stays out of the way during use. Once locked, the blade is held between a stop pin and the liner. Blade play and yaw are nearly nonexistent. The liner is nested, so the lock actually hides within the main steel frame when not in use. This gives the pommel a nice symmetry when closed and prevents damage to the mechanism. 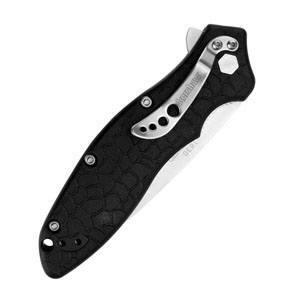 The opening mechanism is another quality feature that Kershaw has included. Using their SpeedSafe assisted opening system, applying light force to the flipper with an index finger will open the knife. A tension bar within the scales deploys the knife easily and rapidly. The blade is ready at a moment’s notice. When closed, the bar stays loaded without putting pressure on the blade. This keeps it from opening inside of a pocket. This opening system is one of the crowning achievements of the Kershaw brand. It really raises the Oso Sweet to the next level. 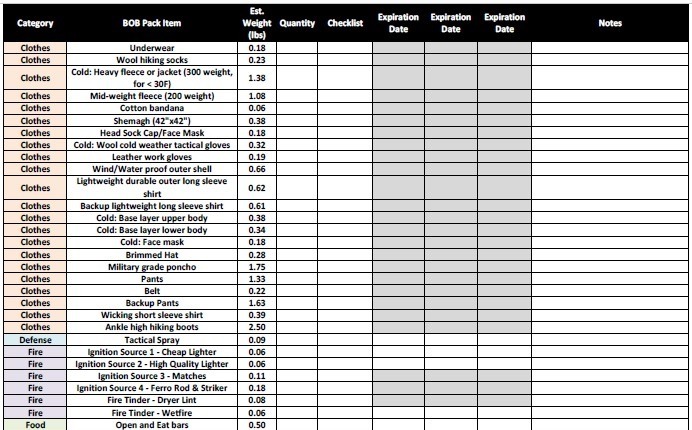 When looking to purchase your next EDC, give the Oso Sweet some serious consideration. Its combination of design, materials, and mechanics make it one of the most well-rounded folders around. Both the 8Cr13Mov of the blade and GFN of the handle are materials whose balance of hardness and flexibility mean they can withstand all the abuses of daily use without faltering. When you add to those the complimenting SpeedSafe opening and nested liner lock systems, you can trust that this knife will stay tough and reliably smooth for years to come. You cannot go wrong with a Kershaw. 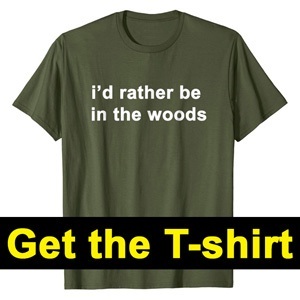 The Oso Sweet is proof of that. If you are looking for a little bit beefier of a knife, check out the Blur.